There are varying requirements for charter bus rental Sebring service. You might be looking to shuttle people to and from office locations. When there is a corporate tour planned, you would need to have a comfortable coach ready to transport the group. For these requirements, you can take a look at the 20 passenger mini bus vehicles we have. Let us help you find the right option, call 813-514-6980. 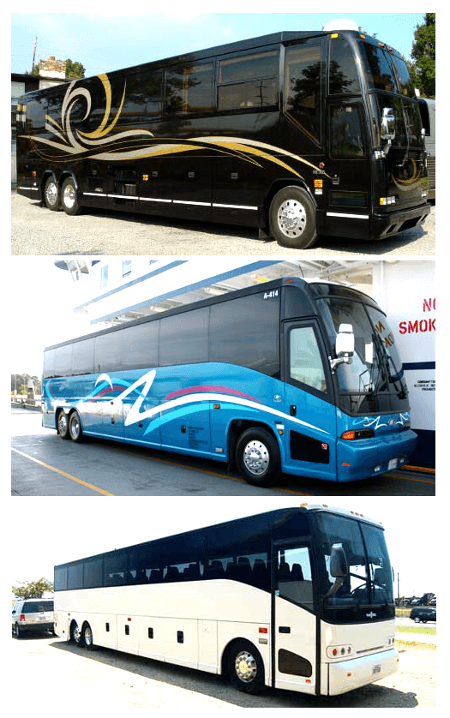 There are several charter bus rental Sebring models to look at on our portal. You could take a look at the 30 passenger shuttle bus models which will help you to decide on the appropriate coach for your group. For the local tour operators there are coach requirements that arise from time to time. The bus charter service that we offer has varying coaches and at affordable rates for tour requirements or for school hiring purposes. The charter bus website that we have several conveniences of booking online. You could take a look at the 40 passenger charter bus vehicles and take a call as to which vehicle you would like to hire. You can vary the terms of hire and choose the model as per the rate applicable. Once you have verified all the details, you can proceed to finalize the booking. There are several charter bus vehicles that are made available for our customers. You could also call in and make a booking when you do not have access to a computer. If you need a party bus rental in Sebring, you’re in luck! We have the largest fleet in Florida. Lost Mines of Atlantis; it is one of the interesting spots to visit here. Airboat Wildlife Adventure; this is one of the reputed boat tours in the area. Children’s Museum; it is an interesting museum to visit with children. Highlands Little Theater; it has local shows and live entertainment. Lucid Heart Gallery; the wine walk along the Sebring circle is wonderful to experience. Among the 50 passenger charter bus models, you will surely be able to find an airport shuttle ride that will be convenient. For tour operators who are looking to transport groups of people to and from the Orlando International airport, they will find the shuttle services we provide more convenient and cost effective. Sebring limousine transportation services are also available upon request. There are several cities and towns in and around Sebring like Winston, Avon Park, Lake Wales, Winter Haven, Haines City, Punta Gorda, Saint Cloud, Auburndale, Plant City, and Lakeland from where people often travel to this region. In other cases, people often need to go on long road trips from Sebring. For these purposes the charter bus rental Sebring service comes of good use to get groups of people transported in comfort.